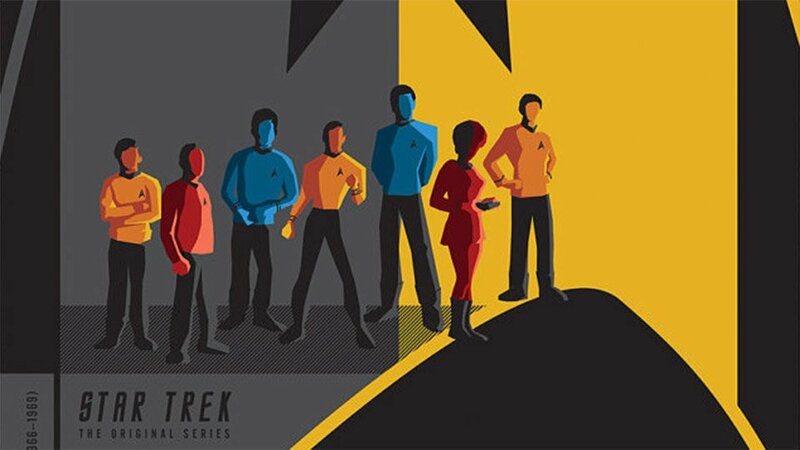 Etsy artist and graphic designer, Ben Smith, has produced a terrific print of the original Star Trek crew. This 11 x 17 poster portrays the original crew: Captain Kirk, Mr. Spock, Lt. Uhura, Mr. Sulu, “Bones” McCoy, Scottie, and Mr. Chekov. We love the style of this print and think it will look great in any Star Trek fan’s media room. Ben describes himself as a massive science fiction geek and he has a bunch of other great artwork on Etsy worth checking out.